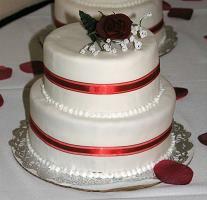 We are currently offering Special Cake Prices. Mix and match different tiers flavors, frostings, fillings, at no additional charge! 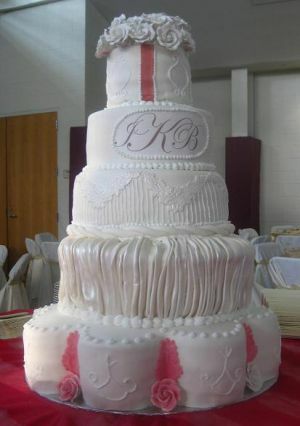 Click here to order your cake using the 2011 Winter cake prices! 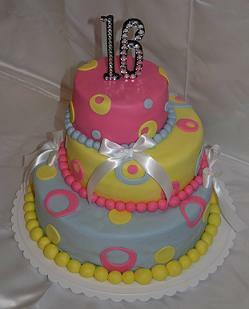 Fondant cake $3.85 per serving. The cake size is based on the number of servings you require. We use the Wilton cake cutting guide to size your cake for the number of servings needed. 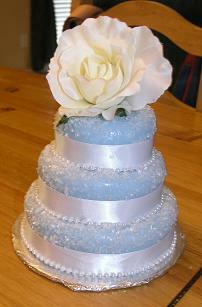 Wedding Cake Mini's, table center piece-a-cakes are priced at $3.85 per serving. Custom Design Cupcakes are priced at $1.85 each. 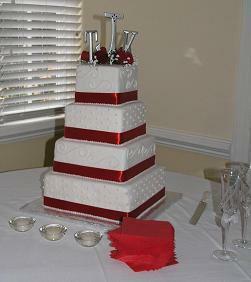 Yes we offer cake delivery in Raleigh and the surrounding area. Why have your cake delivered? First, we package it up safe and secure for the journey. 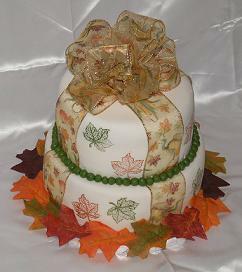 We use heavy-duty boxes and strap the cake in a flat section of our Yukon SUV delivery truck. My husband, The Transporter, does the driving and drives like grandpa! We usually have a very minimal charge for delivery depending on how far it is. So far we have delivered cakes to all of the following areas; Fuquay Varina, Durham, Raleigh, Apex, Burlington, Greensboro, Fayetteville, Sanford, Mebane, Hillsborough, Roxboro, Wake Forest, Benson, Rocky Mount, Wilson, Goldsboro, Chapel Hill, Carrboro, Pittsboro, Zebulon, Wendell, Spring Hope, Louisburg, Henderson, Cary, Holly Springs, Winston Salem, Benson, and growing. 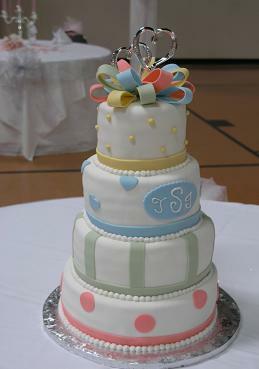 Ask Steph Here if we can deliver your cake.